The Indonesian genocide of 1965 has been smothered in silence for half a century. 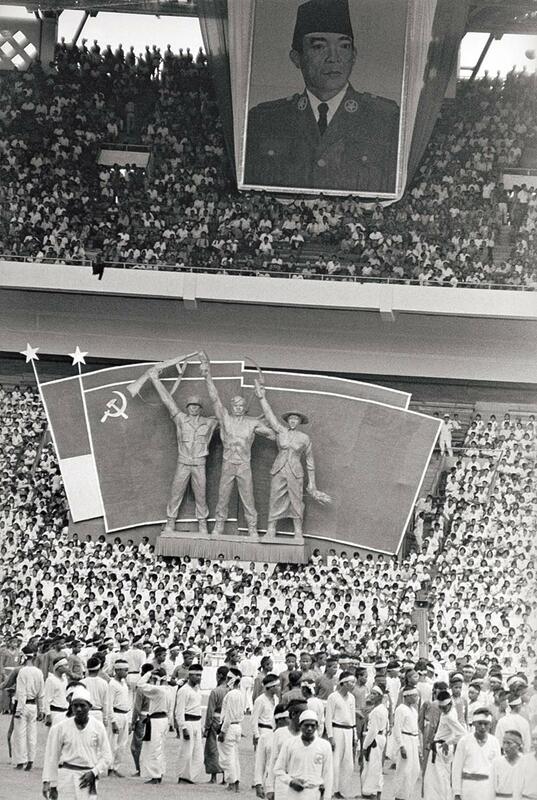 Members and supporters of the Indonesian Communist Party gather for its 45th anniversary in Jakarta's Soviet-built sports stadium, 23 May 1965. During the winter monsoon of 1965, Indonesian army units and organised vigilantes slaughtered unknown hundreds of thousands of Indonesian citizens in Sumatra, Java and on the island of Bali. The intent of the slaughter was to extinguish the power of what was then the biggest communist party in South-east Asia, the Partai Komunis Indonesia (PKI). It is a tragic fact that the actual number of people killed in the course of what the author of this remarkable study unequivocally calls a genocide has never been verified. Unlike the German Einsatzgruppen units, who murdered millions of Jews in Eastern Europe, the perpetrators of the mass murder in Indonesia did not keep a tally of their victims. Their remains were thrown into rivers, buried in rice paddies or hidden in caves. There can be no doubt, however, that between half a million and two million people were killed. Sarwo Edhie, the army general who organised the onslaught, boasted of murdering three million people. As Marching reveals, in the aftermath of the mass killing, General Soeharto, who dominated Indonesia for three decades, exploited every means to inflict a national climate of fear that made it perilous to openly discuss the pitiless destruction of so many lives. Relatives of victims were stigmatised for decades. Soeharto imposed this deep and pervasive silence by terrorising his political opponents and using the mass media to demonise the victims of the slaughter. 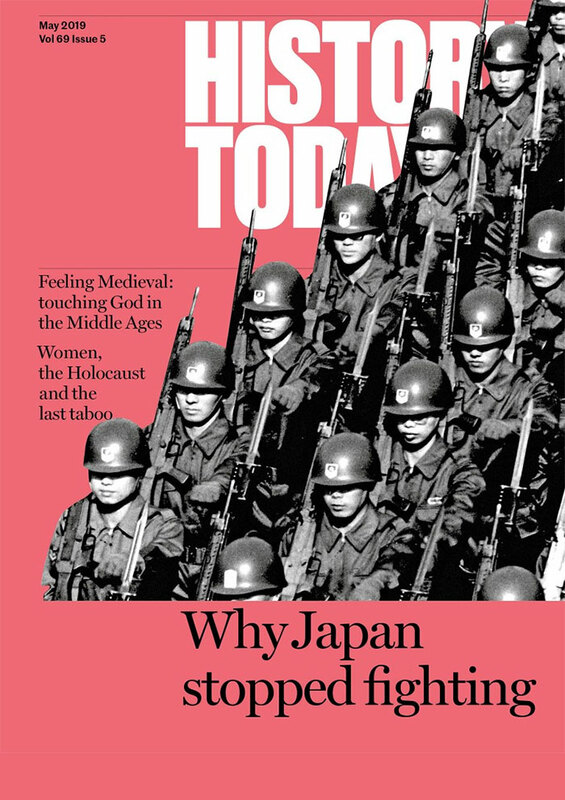 The mass killing was metamorphosed into a holy war; perpetrators became national heroes. This reticence has outlasted Soeharto and, as Marching emphasises, it is yet to be broken. It was not only inside Indonesia that a profound silence enfolded the memory of the slaughter. In 1965, both the United States and the UK secretly backed the Indonesian army’s onslaught on the PKI. At the height of the Cold War, they feared both the Communists and Indonesia’s unpredictable first president, Sukarno. Reports sent to Washington and London by the CIA and British Intelligence welcomed the annihilation of the PKI. Until the release of Joshua Oppenheimer’s acclaimed documentaries The Act of Killing (2012) and The Look of Silence (2014), few of us in Britain and the United States knew or cared much about the tragedy that had unfolded in Indonesia half a century ago or had any idea that both governments were complicit. The tremendous value of Marching’s book is that it confronts the silence by telling the stories of survivors of genocide and their descendants – including the author’s – in their own, powerful words. Many of Marching’s witnesses were imprisoned in Indonesia’s archipelago of brutal prisons, including the notorious Buru Island. It was here that Oei Hiem Hwie met the great Indonesian novelist Pramoedya Ananta Toer (see ‘Portrait of the Author as a Historian’, History Today, May 2017), who had been imprisoned on Buru for some time, and helped him complete one of his last masterpieces, Child of All Nations. Oei’s story speaks not only of the horrors of the Soeharto era – but of Indonesia’s rich and resilient culture. 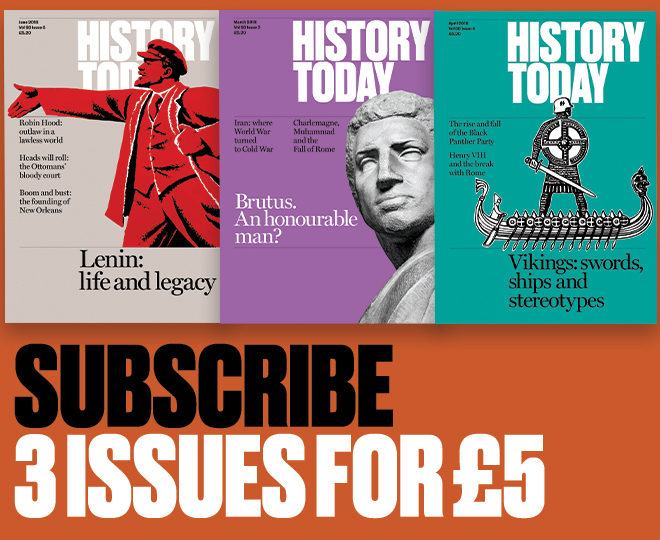 Christopher Hale is a television producer who has worked in South-east Asia and author of Hitler’s Foreign Executioners: Europe’s Dirty Secret (The History Press, 2011).